Level your truck and give it an aggressive look with a Southern Truck leveling kit. 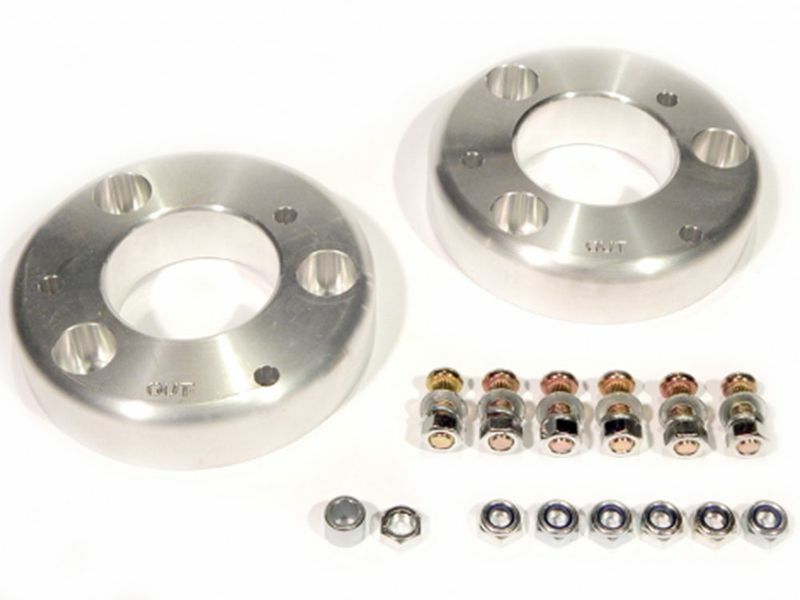 These leveling kits are available in lift heights ranging from 1.5" – 3" and are made to fit your specific vehicle. Southern Truck leveling kits are durable and built to last. Installation should only take a couple hours and there is no drilling or cutting of components required. Each kit utilizes a direct bolt on installation. Southern Truck leveling kits offer a quick and easy way to lift the front of your truck without the hassle of installing a complete lift kit. Increase your vehicles ground clearance and give your ride a new impressive appearance with a leveling kit from Southern Truck. Southern Truck Suspension Systems offers a Lifetime Replacement Warranty on most suspension products. All products are warranted to be free from defects in material and craftsmanship for the life of the vehicle if utilized in accordance with the manufacturer's instructions for installation and operation. Some suspension components are prone to gradual wear and tear over time and therefore are not covered within the Lifetime Replacement Warranty. Exclusions to our standard Lifetime Replacement Warranty include wear and tear items such as mounts, bushings, diminished shock and stabilizer dampening resistance, finish, dents and scratches, as these components will experience natural wear over time. Southern Truck’s Lifetime Replacement Warranty and Limited Warranties are non-transferable and may only be enacted by the original purchaser of warranted equipment. These warranties do not cover any/all labor and/or shipping/handling/processing fees for the delivery, removal, or installation of our products. When enacting a warranty claim, Southern Truck will need verification that you are the original purchaser and may require photos of the defective or damaged part(s). You must provide a copy of the Bill of Sale, a valid order number or other transactional documentation to verify your purchase. Install your Southern Truck leveling kit at home by following the included installation instructions or bring it to a professional shop. Installation should only take a couple hours. Make sure to have your vehicle aligned after installation.